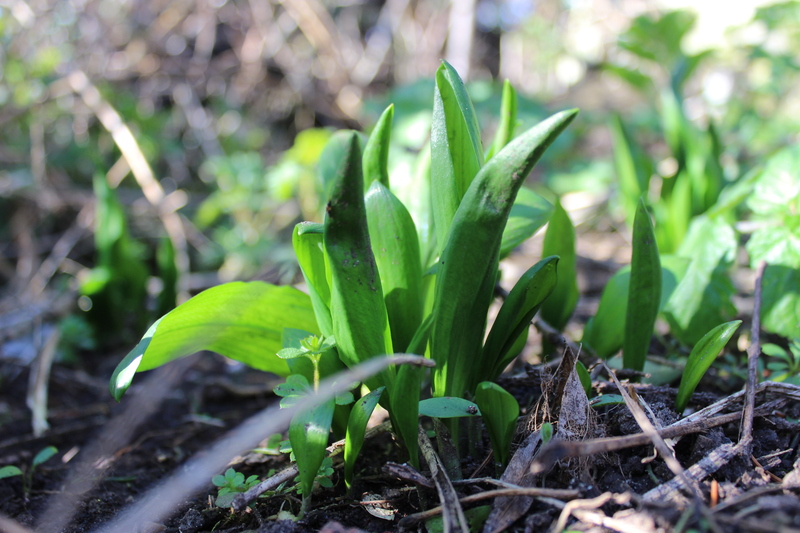 This image show wild garlic appearing this month in my garden. I have tried to use ideas I have learnt about Forest gardens and use edible plants that have similar traits to ‘pioneer plants’ or weeds. These plants are happy to grow in poor soil or neglected areas of my garden, they look after themselves and still provide me with a yield. Weeds are often the first plants to appear in the evolution of a garden. They enrich the soil and eventually make it more inhabitable for other more desirable plants. This Principle is quite a difficult one, and one that does not really appear in any form in the 12 Holmgren principles. So I thought I would begin by defining the terms and under the ‘application’ heading I will considering what they could mean for my Permaculture journey. Succession – The act or process of following in order or sequence. Evolution – The gradual development of something. So basically this principle is saying that we should seek to find ways in which to speed up the changes which naturally occur in a system and ensure that these changes are positive. I use this principle in my garden by observing which weeds grow well in which areas, then substituting them for similar plants that I have a use for. This speeds up the process of experimentation by ensuring the right plant ends up in the right place by following natures blueprint. 1. Linking disparate areas that I am working on and stacking their functions. For example, my Forest schools training course requires me to plan, run and reflect on six practical sessions. This process can be written up as part of my Permaculture diploma as well for my FS training. These six sessions may be used as my Muddy Boots autumn season. 2. Seeking volunteering opportunities for Permaculture teaching and Forest school leadership. This helps me to network effectively, furthers my knowledge and practical experiences as well as being worthwhile activity that counts towards my courses. 3. Using Permaculture principles and techniques in the planning of Muddy Boots allotment playgroup. Also using new skills and ideas learnt in FS training in these session. This improves my environmental education practice and gives me a chance to test out idea for my FS assessment. I can see this principle at work in the way my tutor Hannah Thorogood manages the PDC that I help out on. Year 1- people attend the PDC. Year 2 -people are encouraged to attend the course for a second time and help out around the edges, making tea, talking with participants etc. Year 3 – people are encouraged to take a more active role n the publicity and facilitation of the course and lead some aspects of the morning circle. Year 4- people are encouraged to facilitate the course or take a Permaculture teacher training course and lead some sessions. Year 5 – Hannah steps away to lead PDC’s elsewhere and the local course is self-sustainable and led by previous participants. We are in year 4 here and this example of evolution seems to be working quite well. We have a planning meeting next month to discuss how the PDC will work in years to come and to decide who wants to teach which areas of the course. So my challenge this month is to really think about what I want my involvement in the local PDC to be. Do I want to do the TOT and train to teach PDC’s in the future? Do I want to write my own PDC aimed at children/teenagers/family groups? Do I want to investigate accreditation for PDC courses with a view to including them in school curriculums? Lots to think about here. And finally this image shows how I ‘Accelerate succession and evolution’ in my flock of chickens, by buying in fertile eggs from breeds I am interested in and choosing the best broody hens to sit on the eggs and care for the chicks. 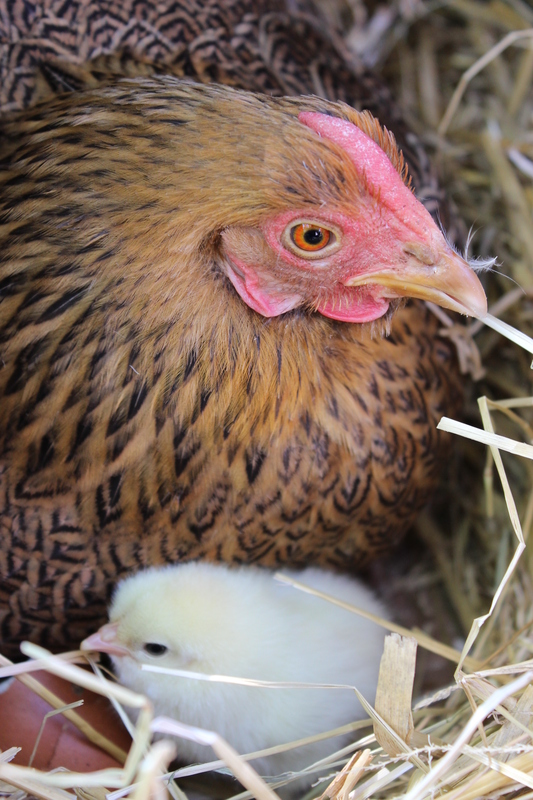 This is one of last years chicks, in another 10 days we should be hearing the ‘Peep’ of new little chicks hatching out! This entry was posted in Uncategorized and tagged Accelerate succession and evolution, Bill Mollison, chickens, Diploma journey, Forest School, Hannah Thorogood, Mollison principles, PDC, perm, Permaculture, Twelve principles for twelve months by emilycrofton. Bookmark the permalink.